*1600-1700*  6185kHz English program, ex: 9405kHz ?? Maybe *1700- DRM test TX on co-frequency. Back to 9405kHz (ex: 6185kHz) since Jan 31, 2017. RTI-Chinese QSY from 7200kHz to 7300kHz. Thanks to Ron-san for this information !! Thanks to PERSEUS servers around the world ! Because of Jamming from China, I can not confirm whether it was moved or added. 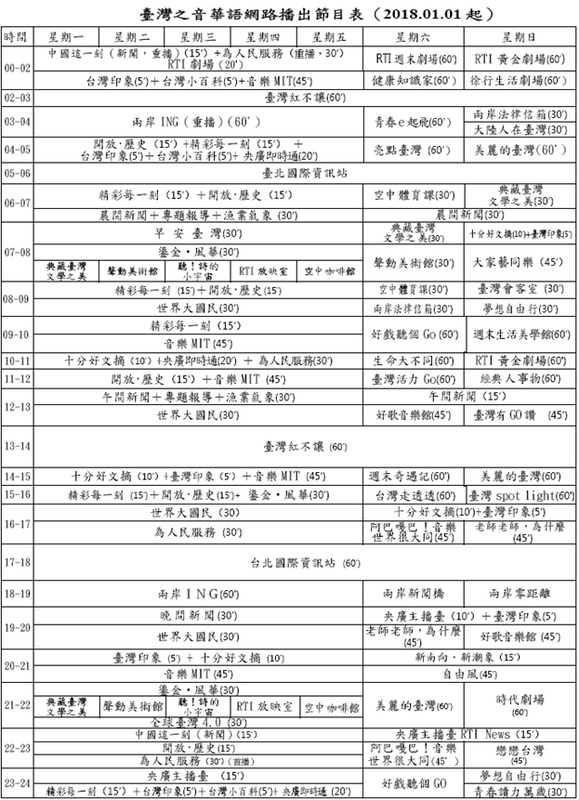 This is new schedule, broadcasting time was added. 1600 to 1700 UTC on 9405 KHz will be switched to 6185 KHz. ... Other language services may be changed as well. 1700 UTC (on 9405), will soon be changed. will be: 6180 KHz (from 1600 - 1700 UTC). via shortwave from Sunday, October 28, 2018 on the frequency 5900 kHz. add: sorry! maybe same as Jan 2019 .. 9450kHz maybe abolished since Jan 01, 2019..
** since February 1, 9450kHz seems to be abolished.